'Tango Apasionado' shows situations from a two men relationship torn between love and hate... 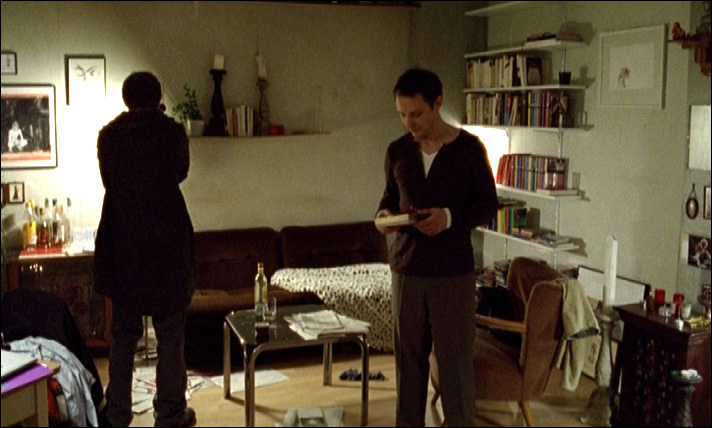 The actual inspiration came from the casting scene in 'Code Inconnu', where Juliette Binoche creates a completely believable emotional performance in an empty studio space. Wow! That's something I just had to play around with. And Haneke does it over and over again, playing with our expectations, reflecting on the make-believe power of film.